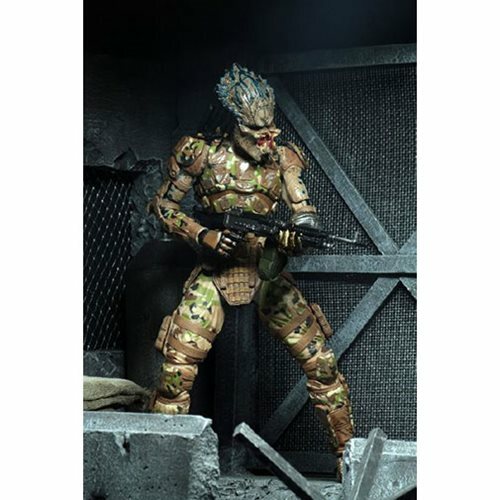 From the 2018 The Predator movie directed by Shane Black, comes the Predator 2018 Emissary 2 7-Inch Scale Action Figure! Although their scenes were deleted from the final cut of the movie, the Emissary Predators were military Predators who fought alongside the Loonies. Emissary 2 stands over 8-inches tall and features 30 points of articulation. 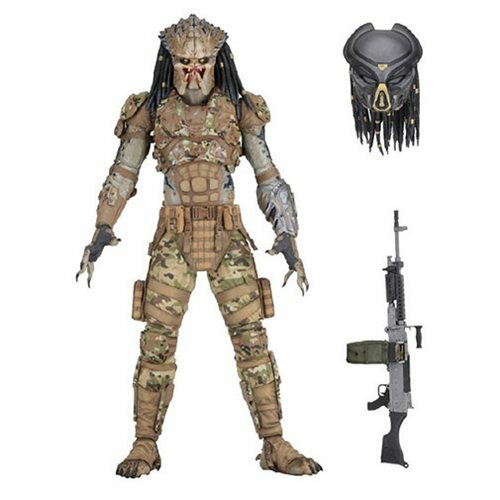 Includes interchangeable masked and unmasked heads, 2x pairs of hands, and rifle accessory. Comes in collector-friendly deluxe window box packaging with opening flap.